First and foremost, Gloria Kimbwala, a campus program specialist at Square, is an engineer. She went through Square’s College Code Camp exactly two years ago. Today, she’s running it. Code Camp, now in its sixth session, is a five-day program at Square designed to immerse young female computer science or engineering majors in coding workshops, leadership sessions and a hackathon. Kimbwala attended Code Camp when she was pursuing her master’s degree, in which she was the only female engineer in her program. When Kimbwala got to Code Camp, it was her first time meeting other female engineers, she said. It was also her first time meeting another African-American engineer. While at Code Camp, Kimbwala learned that the lack of diversity is a problem within tech as a whole, and not just at her school. When the opportunity to run Code Camp came about, Kimbwala jumped on it because she saw it as a way to make a big impact on diversity in tech from the inside. 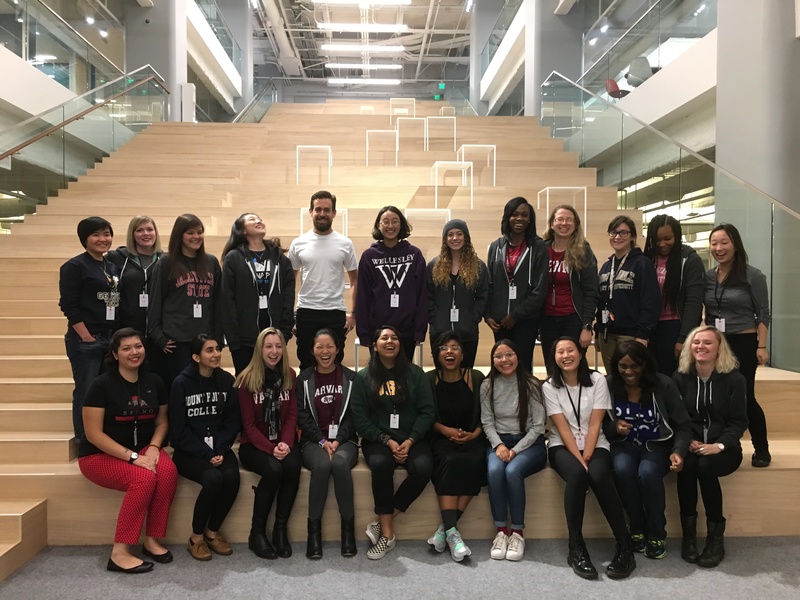 Before Kimbwala officially started running Code Camp at Square, she assisted Square Head of Diversity and Inclusion Vanessa Slavich, who started Code Camp, in running the program this past August. The most recent Code Camp, which took place earlier this month, was Kimbwala’s first time doing it all on her own. Kimbwala selected 20 young women currently enrolled as full-time students at either an American or Canadian university pursuing computer science, computer engineering or some other related technical field. As part of the program, campers had the opportunity to work with Square engineers building code, meet with Square executives like Jack Dorsey and Square CFO Sarah Friar, and participate in a hackathon. Square CEO Jack Dorsey with Gloria Kimbwala and Code Camp participants at Square’s San Francisco headquarters. During their five-day trip to San Francisco, the campers took tours of tech companies like Yelp and Twitter. They also participated in workshops around iOS, Ruby on Rails, hardware, data science and security. On the last day of the program, the campers presented their hackathon projects. The assignment was to build a web app that helps connect past, present and future Code Campers. Through Code Camp, Kimbwala wants to help every young woman who goes through the program realize that they have a place at Square, and in the tech industry in general. As part of Code Camp, Kimbwala hosted an hour-long imposter syndrome workshop. Imposter syndrome, an idea first explored by Dr. Pauline Clance in the 1980s, is the feeling that you’re not as qualified for the work as people may think you are, and will be found out as a fraud. 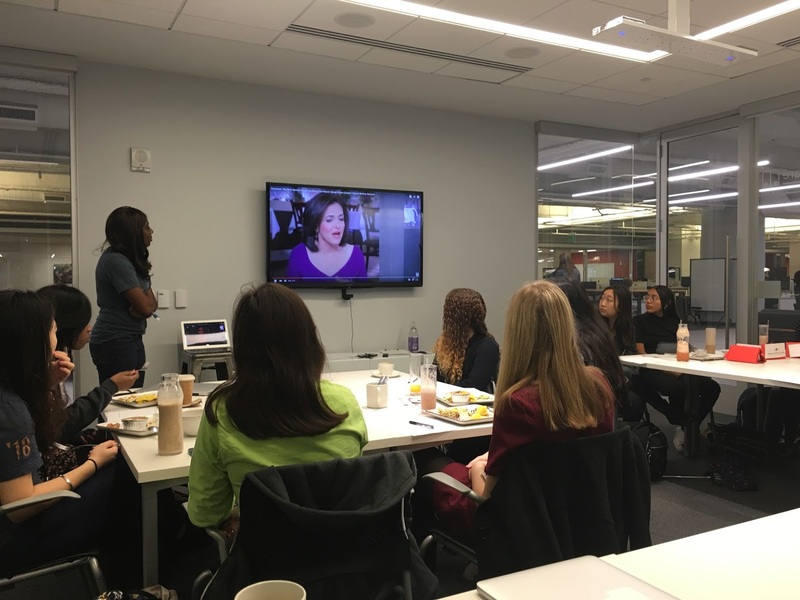 To kick off the workshop, Kimbwala had the Code Campers watch Oprah Winfrey’s interview with Facebook COO Sheryl Sandberg on imposter syndrome. Next, everyone, including myself, dove into the workshop’s first exercise. Part one asked each of us to write down three things we value, write a sentence about why one of those values are important to us, and what the last topic was that someone asked us for advice on. That last part is especially important because if someone asks you for advice, Kimbwala explained, they’re essentially telling you that they respect your opinion and find value in it. We later discussed the effects of imposter syndrome, which include not applying for certain jobs or promotions, as well as strategies for combatting imposter syndrome, such as keeping a record of your accomplishments and reviewing them often. During the workshop, Kimbwala spoke about her own struggles with imposter syndrome. She described how during her first week at Square, she was waiting for the company to realize it had made a mistake in hiring her. I asked her to elaborate on that when we sat down to chat. Since joining Square in July 2015, Kimbwala said that she has come to terms with the fact that Square hired her because of her knowledge, talent and skills. She eventually realized that she’s well-connected and has a unique perspective to offer Square. But the profound moment for Kimbwala — when she realized that Square is where she should be — happened shortly after Square appointed Ruth Simmons, former president at Brown University, to its board of directors. 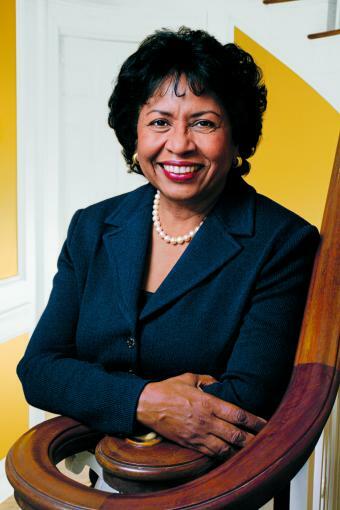 Before her post at Brown, Simmons, an African-American woman, was the president of Smith College, where she established the first engineering program at an American women’s college. Simmons joined Square’s board in August as one of the only black women on a tech company’s board of directors. This year, Kimbwala has committed to spending 500 hours doing service within underrepresented communities. If she hits those hours by June, she’s going to bump it up to 1,000. Ultimately, Kimbwala sees herself pursuing computer engineering as a career. Across the board, the number of black female engineers at tech companies is very, very low. Although several tech companies have released diversity reports, Square has not done so…yet. But, for Kimbwala, it’s not about the numbers.